In the Beginning . . . The Emerging Writer Contest – Read. Write. Live! Well over a decade ago (let’s not discuss just how “well over”), I saw an advertisement for a writing contest, and pretty much on a whim, I entered it. That contest was the West Virginia Writers, Inc. Spring Competition, and I entered the Emerging Poets category with a poem that I wrote about my friend Diana “Hootie” Kirby, who’d recently passed from breast cancer. Hootie must have been whispering in the contest judge’s ear, because I won that year, receiving a nice-looking certificate, a blue ribbon, and a healthy check. More than those material things, however, the prize I cherish most from that contest was the boost to my self-esteem as a bourgeoning writer. 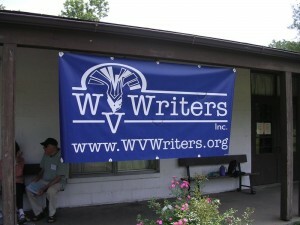 You can imagine my happiness now that I have been asked to judge the Emerging Prose Writer category in the 2015 West Virginia Writers, Inc. Spring Competition. It’s a surreal, full-circle sort of feeling to know that the packet of manuscripts I soon will receive will contain stories written by beginning writers—people at the same starting place and similar skill level at which I entered those many years ago. I will have the amazing privilege of encouraging a soon-to-be-author, just like so many encouraged me in my first creative years as a new writer. It will be a privilege to serve as contest judge, just as it was a privilege to win the prize that year. Now, let me be clear: after winning, I did not receive calls from New York publishers who were dying to see my work, nor was I swamped with fans asking for my autograph. I wasn’t able to retire from my day job on my prize winnings, and in fact, it was a few more years before I won another contest and had my first story—in retrospect, a pretty bad one—published. Still, winning that first-place award set me on a path that has been nothing short of joyous. I went back to college to study English and literature. I earned an MFA in Creative Writing. I work as a ghostwriter and editor, and my work is now published in literary magazines I long thought of as inaccessible to and unattainable by me. Yes, I have received plenty of rejections (I got another one just yesterday), and yes, I still work hard to improve at my craft. I humbly recognize that I have so much more to learn, and I look forward every day to acquiring new writing skills. But I will forever be grateful to West Virginia Writers, Inc. for holding their annual contest, and to the judge who blindly selected my poem as the winner. I can hardly wait to return the favor. I encourage you to submit your stories and poems to the 2015 West Virginia Writers, Inc. Spring Competition. You don’t have to live in or hail from West Virginia to enter and win (see FAQ #37). All submissions are judged blindly (no identifying names or addresses on the work), so all work is reviewed fairly. Click here for more information and a contest form, and click here to check out the judges’ bios—including mine! Yay! The Cost of Romance: Can You Afford It? Thanks, Rhonda. This is an excellent contest for both new and established writers. Lots of categories and lots of prizes.